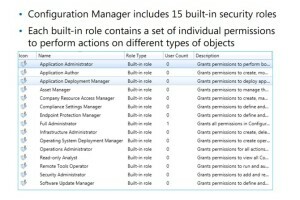 Microsoft® System Center 2012 Configuration Manager and System Center 2012 R2 Configuration Manager implement role-based access control (RBAC). With RBAC, you can use security roles, security scopes, and collections to define access permissions for your administrative users. only specific applications by associating those applications with a security scope, instead of permissions to deploy all applications. 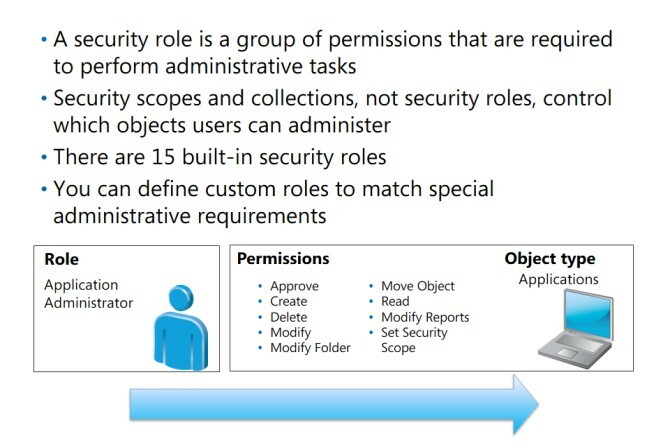 Administrative users can see only the objects that they have permission to manage, which the security role, security scope, and collection define. You can use the built-in security roles and scopes, or you can create your own custom security settings to use throughout the hierarchy. When you create administrative users, you configure and replicate security assignments throughout the central administration site and the hierarchy’s primary sites. 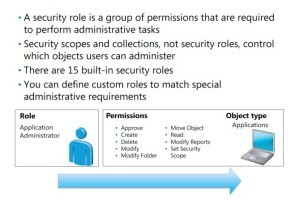 A security role is a group of permissions that are necessary for performing specific administrative tasks. The role consists of individual permissions for each object type that an administrative user is allowed to manage. 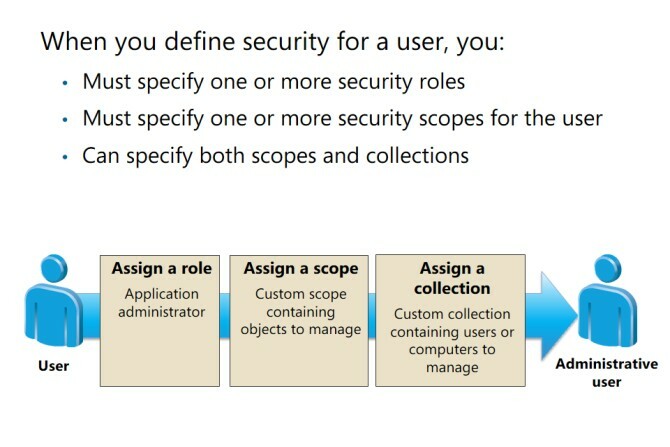 You can use scopes and collections to limit access by administrative users to individual object instances because the roles themselves do not specify user permissions for individual objects. 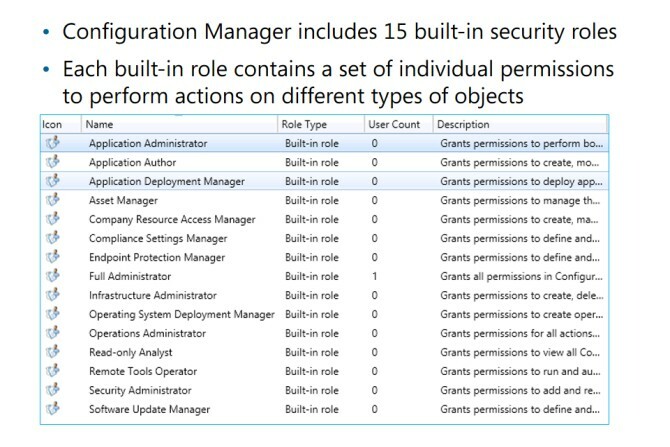 Configuration Manager includes 15 built-in roles that include permissions for executing typical tasks on different types of objects. You cannot modify or delete the built-in roles, but you can create custom roles to match special administrative requirements. administrative user, you must consider the security roles, security scopes, and collections. • Security roles control what you allow an administrative user to do. • Collections control the users and devices that an administrative user can manage. • You must assign an administrative user to at least one security scope. • You can map each administrative user to separate security scopes and collections.